Acute Liver Failure with Daptomycin: Is Routine LFT Monitoring Warranted? 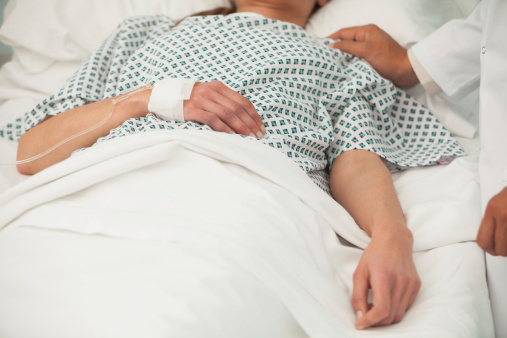 A recent report published in the Journal of Pharmacy Practice details the case of a patient who suffered daptomycin-induced acute liver injury. Previous literature indicates seven other cases of daptomycin-induced hepatotoxicity have been reported; in five out of the seven cases, patients developed liver failure and had elevated creatine kinase (CK) levels. This case represents the third report where a patient with normal CK levels developed liver damage after long-term treatment with daptomycin. The patient, a 49-year-old female, had a complex medical history which included pancreatitis, lupus, diabetes, congestive heart failure, hypertension, and chronic pain syndrome, among other ailments. Eight months prior to presenting, the patient was diagnosed with necrotizing pancreatitis; she underwent multiple debridements to treat intra-abdominal abscesses. The patient suffered post-operative complications including MRSA endocarditis for which she was given daptomycin 300mg intravenously once daily for 3 weeks. It was after the 3 weeks of daptomycin treatment that the patient presented to the emergency department with acute liver failure. A physical examination demonstrated sclera icterus and jaundiced skin. Lab results showed the patient’s aspartate aminotransferase (AST) was at 1331 IU/L, dramatically up from her level of 51 IU/L, 3 weeks prior. There was also a dramatic jump in alanine aminotransferase (ALT) levels from 38 IU/L 3 weeks previous, to 1449 IU/L. In addition, alkaline phosphatase (AP) was 935 IU/L up from 324 IU/L, 3 weeks prior. Her total bilirubin stood at 5.8mg/dL, 3 weeks prior it was 1mg/dL. Serum creatinine, BUN, and CK were all within normal range. Close more info about Acute Liver Failure with Daptomycin: Is Routine LFT Monitoring Warranted?